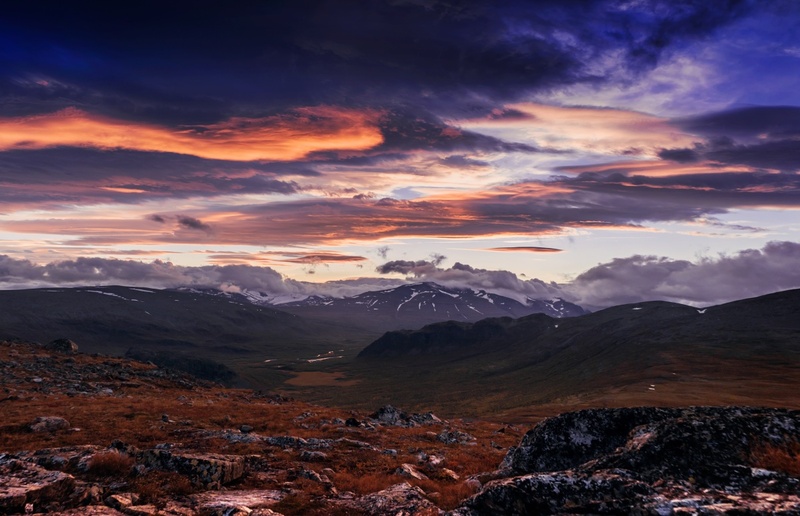 Beautiful view of the river valley in Sarek during nice sunset. I have loads of these photos but only because each night we spent there was different and really magical in terms of light and landscape. Definitely worth visiting if you happen to be around. Not very accessible but can be easily done with some experience. Tip: Always remember to take you flashlight with you when going to shoot sunsets. You are fucked without light in these kinds of conditions.